The FBI - Federal Bureau of Investigation is unlawfully political, treasonous, corrupt and operates as a secret police force. The futility of trusting the FBI to defend the greater good is demonstrated by the most treasonous and corrupt things it has done since its inception as the “Bureau of Investigation” in 1908. Some misdeeds are well-known while others are obscure, but all provide cause to distrust the federal agency. In 2014, a letter surfaced from the FBI to Martin Luther King Jr., disparaging him, urging him to commit suicide, and attempting to exploit his sexual behavior. In 1999, years before that letter surfaced, a federal jury decided that government agencies were involved in King’s assassination. Though the FBI was not directly implicated, its obsession with King is cause enough for skepticism. During and following the same years that MLK was active, the FBI actively sought to infiltrate “radical,” “subversive” groups. They launched the notorious COINTELPRO program, sending undercover agents to pose as members of movements. They seeped into anti-war groups, the Black Panthers, and communist, socialist, and Puerto Rican groups (among others). They attempted not only to gather information, but to sow discord among the ranks of activists in order to sabotage their efforts. The FBI allegedly discontinued COINTELPRO in 1971, but many believe it still employs the same tactics today. For example, the FBI has been caught multiple times planning terrorist plots for targets to foil. This was the case here, here, here and here. When the FBI has trouble getting an informant to cooperate, it simply frames them. In going out of its way to “find” terrorists, the FBI uses grotesque tactics. One former informant recently revealed that he was urged to sleep with women at a mosque he was infiltrating (the mosque eventually called the FBI on the informant when he advocated violence). This parallels the strategy of London police officers, who infiltrated environmental groups in the 1980s and ’90s, as well as the tactics used on protesters in the United States. The FBI is creepy beyond its use of informants. While the NSA is largely blamed for spying en masse on the data of American citizens, it was the FBI that actually built the Data Intercept Technology Unit. This is the framework that underlies the NSA’s capabilities. FBI leaders have actively attempted to thwart encryption features on smart phones that were implemented due to concern over government spying. 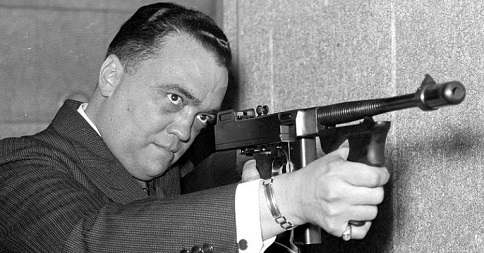 Though such surveillance is disturbing, the FBI has been snooping since its inception. During the Prohibition era, agents tapped phones and spied on Americans in the name of catching alcohol bootleggers. It was only through Supreme Court cases and Congress that the FBI was barred from doing so—only to later develop the Data Intercept Technology Unit. Such spying proves a troubling catch phrase of American popular culture: “Celebrities are just like us!”: the FBI has conducted surveillance on a wide variety of stars. They watched Marilyn Monroe for her ties to the Kennedys, John Lennon for his anti-war activism, and Charlie Chaplin, who was an outspoken anarchist. Even the world’s most famous figures cannot escape FBI scrutiny if they are promoting a change to the status quo. If they cannot escape the government’s snooping, there is little chance for the rest of us. The internment of Japanese-Americans during WWII is now viewed as one of the most reprehensible actions not only of FDR but the federal government in general. However, when condemning the horrific discrimination and destruction of due process, few ask who carried out FDR’s Executive Order 9066. It was the FBI that made lists of people to “intern” and rounded them up. The bureau is rarely criticized for these racist, unconstitutional, and inhumane actions. The FBI is also known for making the lives of whistleblowers a living hell. Though the Obama administration has cracked down on those who are courageous enough to expose government wrongdoing, the FBI has consistently ranked the most intolerant of such dissent. It sent a threatening letter to one of its would-be whistleblowers and makes little effort to protect them. For an agency tasked with rooting out crime and corruption, its unwillingness to look in the mirror is treasonously disgraceful. The FBI has a bad habit of employing selective justice. During the 1970s and 80s when it was prosecuting gangsters, it made a point to prosecute some and not others. Why? Because those it protected were paying them off and providing information on other gangs. Further, in the 1960s, the FBI allowed four innocent men to be convicted of murder simply to protect a former gangster turned informant. They encouraged a witness to lie and withheld evidence from the court to earn the convictions, again exemplifying an egregious disregard for the justice they are tasked with delivering (the government later paid over $100 million in settlements for the false convictions). As if false convictions weren’t enough, the FBI has repeatedly been caught staging false flag attacks against the United States, staging witch hunts against the Left’s political enemies, and otherwise undermining this constitutional republic in the interest of globalism. 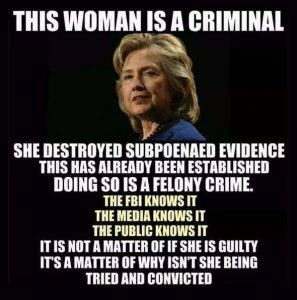 Put it all together, and the Federal Bureau of Investigation (FBI) is embodied with treasonous corruption and deceit, and has long engaged in anti-American tactics and behaviors that serve the interests of an elite few rather than the American people. Despite what we’ve been told, the FBI and many other three-letter federal agencies simply aren’t trustworthy, neither do they operate in a bipartisan way. Thanks to the politicization of the FBI specifically by corrupt politicians – most notably Barack Obama in recent years – such agencies function more as arms of the Democratic Party as opposed to independent enforcers of the law. In light of this consistent history of criminality and misconduct, it is time for Americans to consider that having criminals fight crime is a futile effort which belies a foundation of corruption across the entire system. In the early 70’s I was convicted of possession of stolen property. I do not deny that I was guilty. However, the FBI agent lying in court was largely responsible for my conviction. If not for that I would have probably been found not guilty. To them the ends justify the means. Abolish the FBI and most other alphabet agencies . Is there even supposed to be Federal level police in the US? The Traitors Among Us . . . The Federal Bureau of Investigation (FBI) is unlawfully political, treasonous, corrupt, and operates as a secret police force while deliberately undermining our civil liberties and personal freedoms. Furthermore, every agent within the bureau is a traitor byway of supporting these forms of tyranny upon the American people. These agents are fully aware and capable of stopping these treasonous acts, but they continually choose not too. It makes no difference to them if they’re required by law to do so, or that it’s a violation of their sworn (or affirm) oath to defend the Constitution of the United States against all enemies, foreign and domestic. This website has no affiliation in connection to the official FBI - Federal Bureau of Investigation. This website is a news affiliate of www.militianews.com and www.patriotortraitor.com.